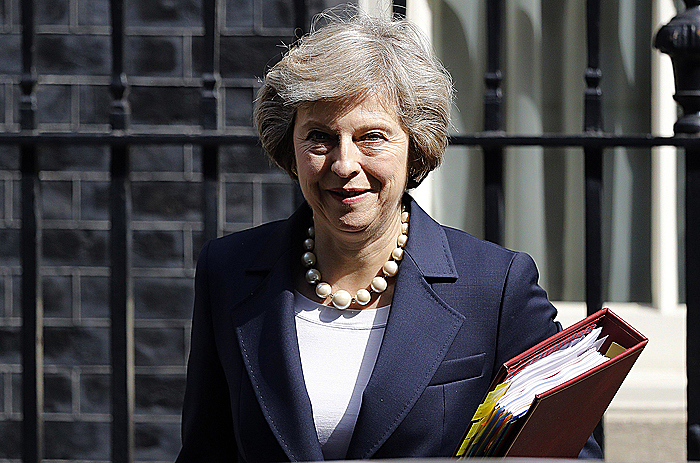 LONDON (AP) — The chief of Britain's new Brexit department said Monday the government will not be rushed as it develops detailed plans for leaving the European Union, as Prime Minister Theresa May backed away from proposals to use a point-based system to manage immigration. David Davis told Parliament his new ministry already has 180 staffers backed by 120 more working in Brussels. In China for the G-20 summit, May said she is not in favor of a point-based immigration system that had been backed by Foreign Secretary Boris Johnson and Nigel Farage, key leaders of the pro-Brexit campaign. She said the Australian-style system would not give Britain sufficient control of who enters the country, as sought by Brexit backers. Farage, who has stepped down as leader of the pro-Brexit UK Independence Party, accused May of backsliding. The government has not spelled out how it plans to control immigration once it leaves the 28-nation EU bloc, but May has said curtailing immigration is a top priority.